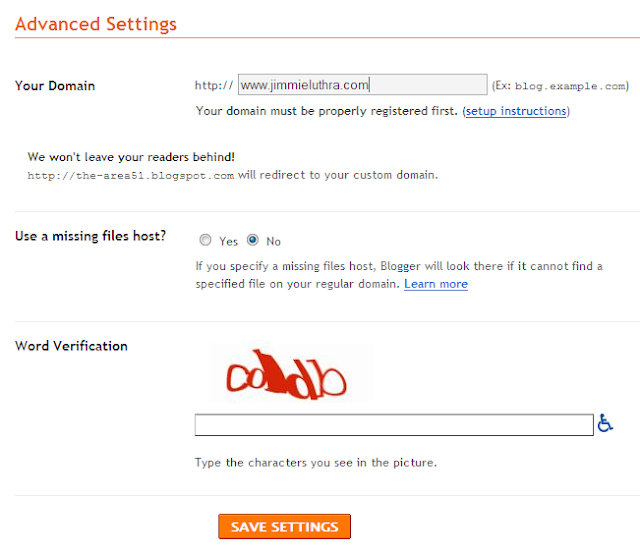 I am writing this post for those who want to upgrade their Blogspot Blog to a custom domain. 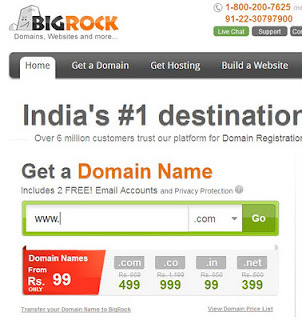 BigRock is an Indian Domain registrar site, which provides domains in cheap prices, Starting from 99 rupees (INR) per year for .in domain. And a good thing about BigRock is that they accept payments through Debit card. Personally I've loved BigRock services and haven't faced any problems. I believe BigRock is the best and cheap provider with Debit card support. So if you don't have a Credit card for buying a custom domain through Blogger.com then BigRock is a very good option, Since you can use Debit card for payment. 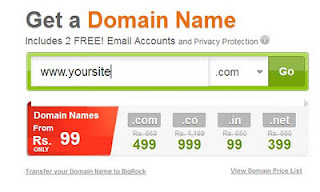 This Tutorial will teach you How to add your BigRock domain to a Blogspot blog. 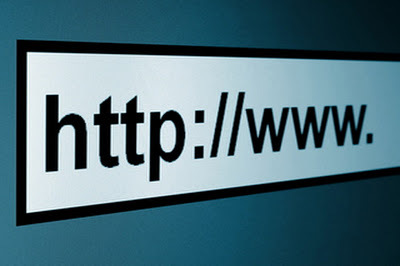 To upgrade your Blogspot blog to a custom domain, First you'll need to get a domain name. Now here you may book your domain for a couple of years, Thats you choice. Just choose the duration of domain. By clicking this, you'll go through the payment process. 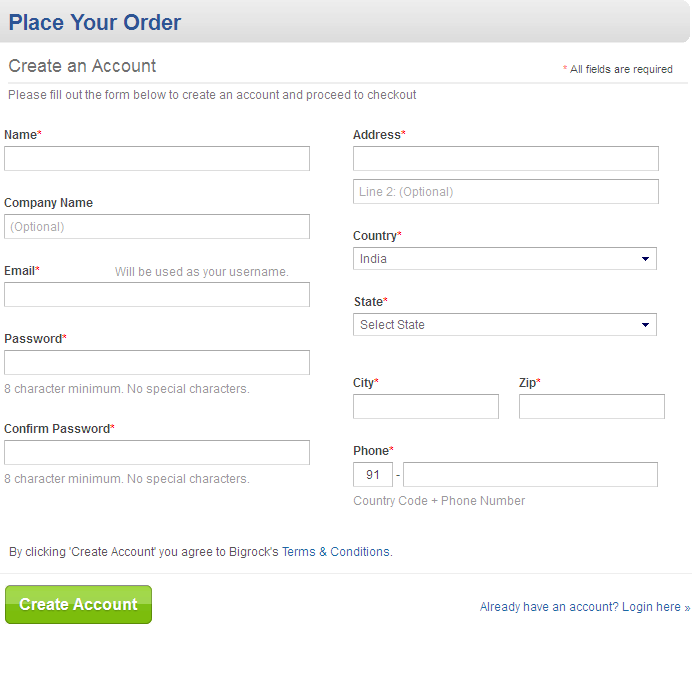 Step 5: Now you'll have to Create a BigRock account to complete your purchase. 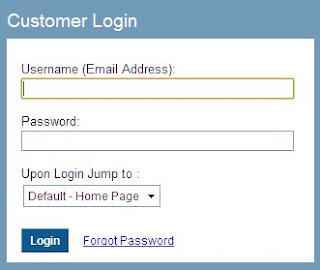 Click on Create an account and fill up the form. Use this Coupon Code for 10% Discount on Domain. 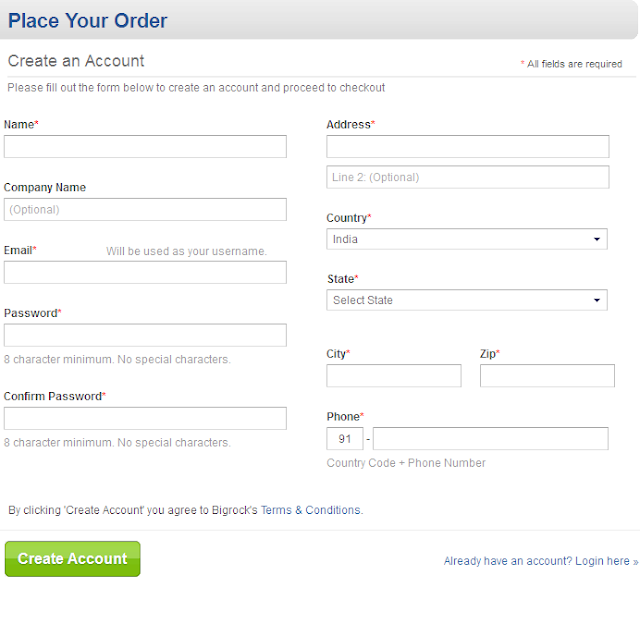 Step 6: After Creating an Account, Choose you Payment option. 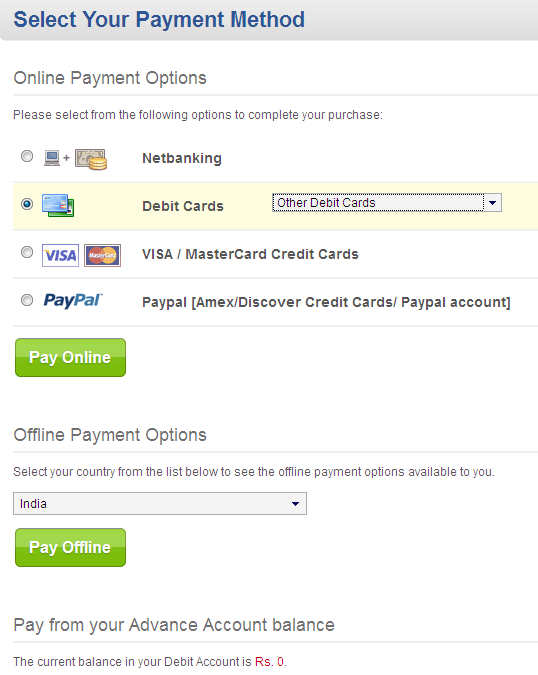 You have several payment options available, choose what suits you best. But in this Tutorial, I am choosing Debit card as Payment option. Step 7: Now complete the Payment process and Get your Domain. Now that you've bought a domain, Its time to configure it. This process will allow Blogger.com to be your hosting service, Thus saving you Web hosting charges. 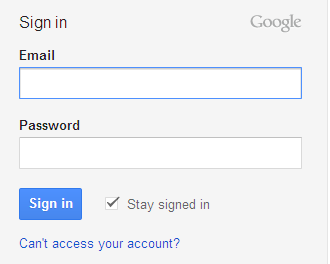 Step 1: Go to BigRock.in and Log in to your BigRock account. Step 3: Click on your Domain name. 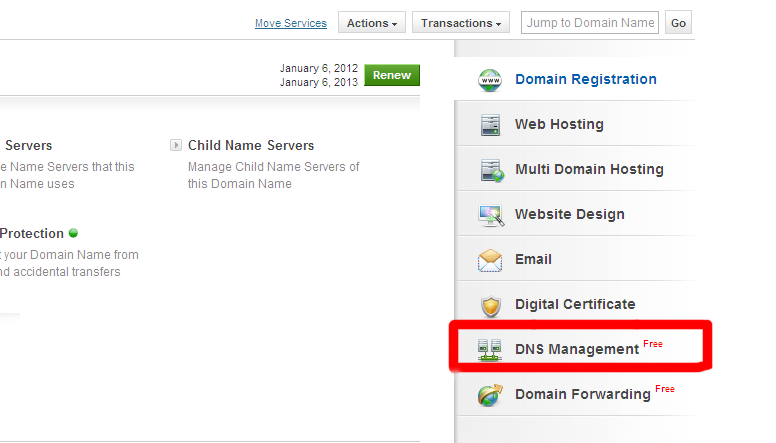 Step 4: Click on DNS Management. Step 5: Click on Manage DNS. Step 6: Click on CNAME Records. Step 7: Click on Add CNAME Record. Step 8: Now fill the places with the data. Note: First select (Type in a fully qualified domain name) and then add the value. Step 9: After filling CNAME, Click on A Records. Step 10: Click on Add A Record and Fill the Places. TTL: Leave it as it is. Step 11: Now Add 3 more A Records. With the same process as above, Add 3 more A Records using the following data. Destination IPv4: Use these IPs for the rest 3 A Records. TTL: Leave it as it is for all A Records. 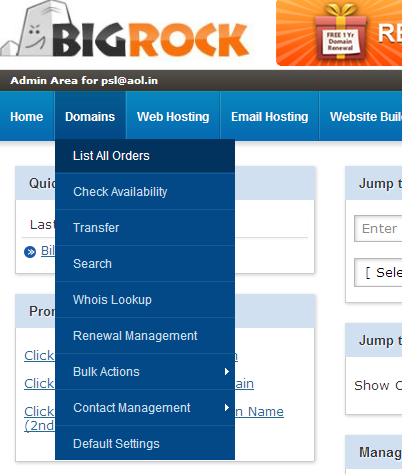 Now you have Configured your Domain successfully, Now lets move on to Next Step of Adding Domain to Blogger. Once you have done the steps above, Its time to add your newly bought Domain to Blogspot Blog. Step 1: Log in to your Blogger Blog. Step 2: Go to Settings > Publishing from your Dashboard. Now enter the Word Verification and then Click on Save Settings. After saving the settings, Click on Redirect to new custom domain and again enter Word verification and then again Click on Save Settings. With This you've successfully Added your BigRock Domain to your Blogspot Blog. Normally It takes about 6-8 hours for your new custom domain to work. Sometimes it may start working within 5 hours. If you're still unable to add your custom domain to blogspot blog, Contact BigRock and they'll help you out. If you have any questions related to this tutorial, Leave a Comment.